De Montfort University is located in the heart of Leicester. So getting from class at campus to the city centre for social activities is quick and easy. 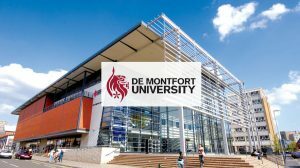 It’s especially conveniently placed if you … [Read more...] about WHERE IS DE MONTFORT UNIVERSITY? Are you looking for student accommodation in Leicester? Students from all walks of life converge on the city of Leicester as it hosts many universities and places of higher learning. A student needs … [Read more...] about ARE YOU LOOKING FOR CHEAP STUDENT ACCOMMODATION IN LEICESTER? IF SO, VISIT US! As you are probably aware, renting a place to stay in the centre of any university city can end up being quite expensive. Especially if you are looking for student accommodation right next the … [Read more...] about IS ACCOMMODATION CLOSE TO DE MONTFORT UNIVERSITY VERY CHEAP FOR INTERNATIONAL STUDENTS?